WordPress sites can look like a traditional website, or a blog, or a combination of both. You can have a website with a blog inserted as a menu item, or no blog at all. WordPress is extremely popular as a website platform There are many reasons for this, ranging from built-in SEO (search engine optimization) features to the wide availability of plugins to make websites more feature-rich, interactive and functional. 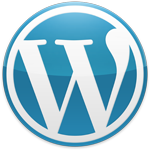 You can find more information on the advantages of using WordPress here.